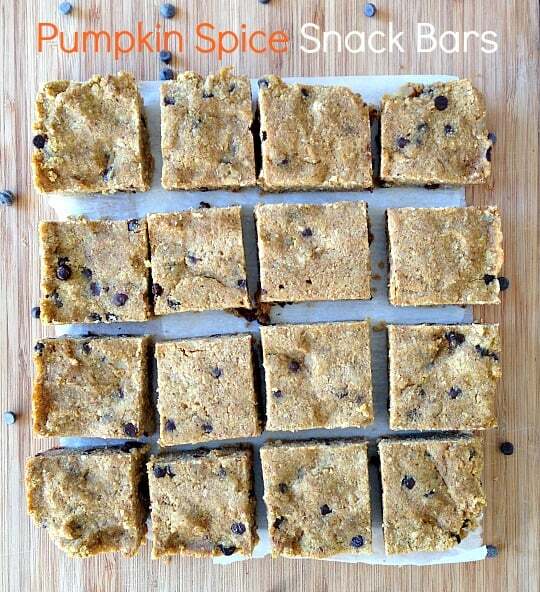 I thought it might be fun to continue the pumpkin spice trend with a snack! These bars are entirely gluten free and dairy free. Because I used gluten free flours (coconut and almond) there is also more protein than there would be in something baked with regular flour, so these will keep you full for longer! @Thelgraham shedoesthecity Fixed! Thanks for pointing that out! Hope you enjoy the recipe!